In every town, small or large, there is always a post office, because people need their mail! So we present to you, the Holmesville Post Office. It's conveniently located in the northeast part of town, near Hobak’s Volleyball Factory. We kept the exterior humble to conceal a well kept vintage interior. 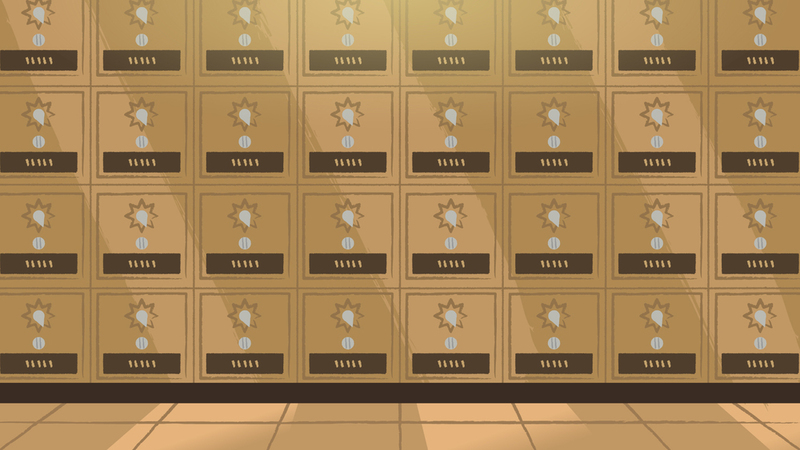 The interior of the post office boasts with walls of mailboxes modeled after early 19th century post office door banks. Those golden beauties are meticulously polished with pride by the small post office staff. Speaking of the staff, Markus is one of the three delivery men and was originally hired on as a favor to Lolo (Markus’ grandfather). He’s proven himself to be the fastest delivery man in town, but unfortunately gets easily turned around; causing delivery delays and somewhat disgruntled citizens. Mr. Shim is an old friend of Lolo's, and the post office manager. He's a kind yet stern boss, and expects all of his employees to be prompt, professional, and above all else for deliver the mail ON TIME. Unfortunately, Markus is sometimes unable to meet this requirement, much to the chagrin of Mr. Shim, but he keeps Markus on staff out of respect to Lolo.